Kelly has been an active part of the Oakville community for 30 years. She is married and lives with her husband in Ward 5 with their children and 2 dogs. Kelly was instrumental in helping establish the HDSB Parent Involvement Council (PIC) as Chair for its first two years and then past Chair. Kelly has been involved as a parent representative on many different HDSB committees, including Safe Schools, French Advisory Committee, Community Engagement and Healthy Schools. She also was a parent representative at Provincial sessions for Educational matters around the roles of the Trustee and Director. Kelly is currently Chair of the Halton District School Board, and has been elected by her fellow Trustees to the position for the last 4 years. 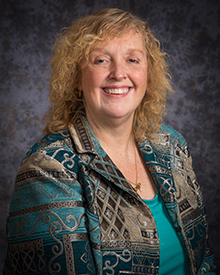 During her time as Trustee, Kelly has also been Vice Chair of the Board, Chair of the Communication committee, Chair of the Director performance committee and active on all standing Board committees. Kelly holds regular Family of Schools meetings for all the Ward 5 and 6 schools to facilitate regular and active discussion with and between all schools. She also believes it is important to communicate and actively shares information regularly to the community by email, through Facebook and Twitter.